The SDP circuit can be seen as the “brain” of the amplifier. 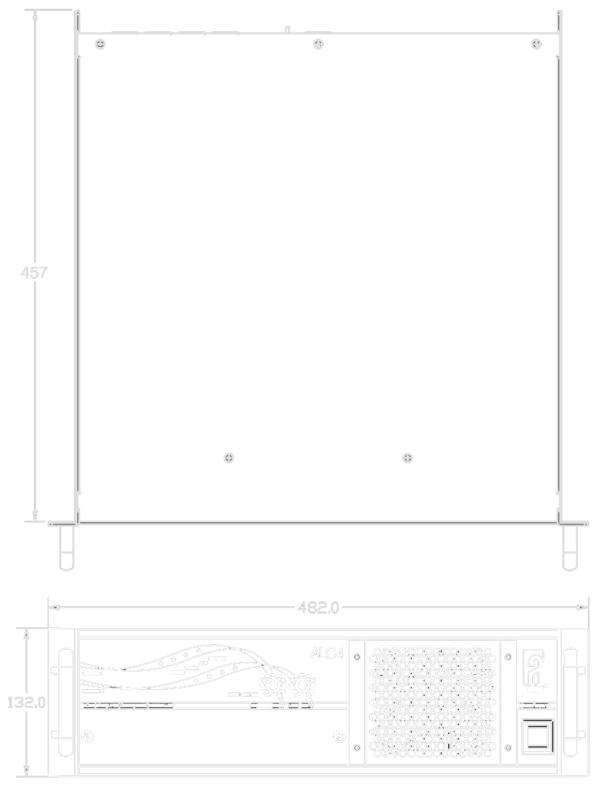 By means of speaker-specific modules, that are located in 2 front-accessible slots, the characteristics of the connected speaker are loaded into the amplifier. With this, the amplifier is “tailor-made” to the speaker, regardless of the power output specifications of the amplifier. This can be done with either the analogue SDP modules, or the DDP digital drive processor™. The DDP™ also offers level control, mute and a user-controllable 4-band parametric equaliser and (up to) 340ms delay. By placing the modules in the slots, the SDP circuit is automatically activated, without the need for changing switches/jumpers (“plug&play”). Taking out the modules, bypasses the SDP circuit and converts the ALC into a “standard” stereo power ampli- fier, for use with traditional speaker systems. ATCM has a number of sensors within the ampli- fier, that constantly monitor both operating temperature, in and output signal. For the temperature section of ATCM, the input signal stage is regulated when dangerous temperature increase is sensed; In this way, the amplifier stays in operation, instead of switching into “heat protection”. The clip limiter section reduces the signal input level to the safest maximum level, when continuous clipping is detected. In this way the high frequency drivers are protected against damage from harmonics and also the amplifier remains cooler. The limiter has a “Soft-knee clipping characteristic” for inaudible, but safe operation. The parallel-mode input switch: With this switch, the input of channel 1 is also send to input channel 2. Therefore there is no need for external “loop wires” (Y-cables) from link output 1 into input 2. 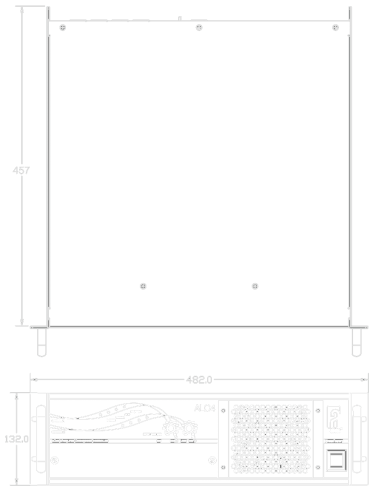 The ALC features PowerCon™ AC power connection, for quick and efficient exchange of rack mounted ALC’s. The ALC4-ST is the “stealth” version of the ALC4. It has potentiometers that are located behind the front lid, preventing unwanted changing of gainsettings. 5.2 x 19 x 18 in.